LOS ANGELES, March 28, 2019 — The Foundation for Individual Rights in Education sued the University of California, Los Angeles yesterday for failing to fulfill a public records request filed over a year ago. In the 391 days since FIRE submitted a request for records related to a campus speaking appearance by U.S. Secretary of the Treasury Steven Mnuchin, the public university unilaterally granted itself five extensions, obstructing FIRE and the public’s reasonable access to information. On Feb. 28, 2018, The Wall Street Journal reported that Mnuchin “retracted his permission” for UCLA to release a video of his speaking appearance at a campus forum two days earlier. During the appearance, several protesters were escorted from the facility, leading to five arrests. Seeking to learn more, FIRE issued a public records request to UCLA on March 2 for a copy of the video and any communications about its release, as well as any agreements between Mnuchin’s office and UCLA about the secretary’s appearance. UCLA publicly posted the video to its website on March 9, but has failed to release any of the other requested documents. Instead, UCLA responded to FIRE with a succession of emails repeatedly awarding itself extensions, most recently to April 30 — which will be 424 days since FIRE first made its request. The California Public Records Act requires that public institutions like universities make copies of public records “promptly available.” FIRE’s lawsuit alleges the university failed to properly respond to its request, obstructed the production of the records, and failed to provide an estimated date of availability, all of which violate the CPRA’s requirements. FIRE submitted its suit yesterday to the Los Angeles County Superior Court and is represented by Los Angeles attorney Kelly Aviles as well as Steinbaugh. UCLA, like many public institutions, has a checkered history with fulfilling public records requests. 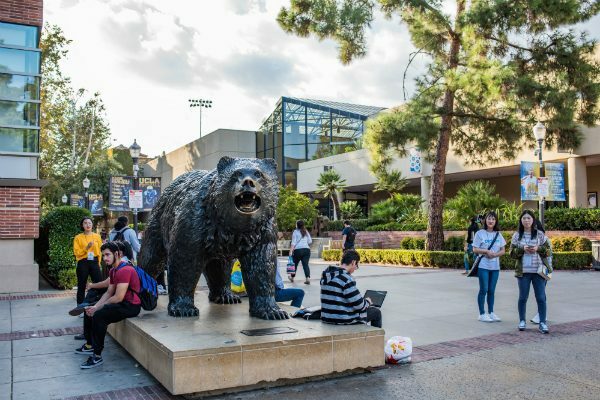 The Daily Bruin, UCLA’s independent student newspaper, houses a database on its website listing unfulfilled requests to the university, at least eight of which have gone unfulfilled for more than four years. FIRE filed a similar lawsuit last year against New Jersey’s Essex County College after it failed to respond to a public records request seeking information about the firing of a professor. The college similarly stalled for months by awarding itself repeated extensions. It eventually provided the requested documents within days of FIRE’s lawsuit being filed.